An autumn stay at The Old Quay House is completely different to one in the more hectic summer months, but there’s no less going on. Here’s a list of our favourite things to do in and around Fowey as the weather gets colder and the nights draw in. 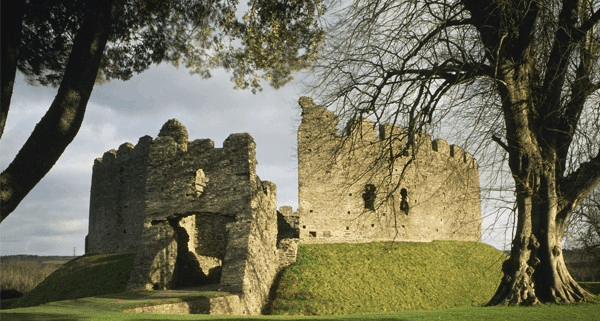 Blow the cobwebs off with a walk round Restormel, a well-preserved 13th century circular castle which sits above the River Fowey. Open until 1st November, there are some great views from the castle making it the perfect spot for a winter walk. More information here. There are lots of great fireworks displays taking place in the local area this November but the biggest local event is the Bodmin display on the 5th. This year, the event takes on a James Bond theme in light of the upcoming film. Tickets do need to be bought in advance. More information here. Beach cleans are a great way to do your bit for Cornwall’s local coastline whilst taking in the surroundings. The National Trust organise regular events at Porthcurnick and Pendower on the first Monday of every month – both of which are under an hour’s drive from Fowey. The annual event has become one of the largest beer festivals in the South West. Organised by CAMRA Kernow, the festival takes place this year from Thursday 22nd to Saturday 24th October at Princess Pavilion. For the price of a £10 ticket visitors will receive a festival souvenir glass, festival programme and beer tokens. Designated drivers receive free entry and soft drinks. For further information visit the Festival Facebook page. Book festivals are a brilliant opportunity to meet some of your favourite authors, listen to talks and take part in writing workshops. The North Cornwall Book Festival takes place from Friday 23rd to Sunday 25th October in St Endellion, North Cornwall which is around a 50 minute drive from Fowey. More information here. If you fancy a bit of light exercise during your stay at The Old Quay House, why not take part in a Lanhydrock Park Run? The expansive gardens provide the setting and you can always head back to the hotel for a well-deserved spot of breakfast afterwards. Runs take place every Saturday at 9am and you do need to register in advance. More information here. There are plenty of great winter walks in the local area. We love the Hall Walk which takes you between Polruan and Bodinnick. Another favourite is the Luxulyan Valley trail, a 20 minute drive outside of Fowey. The Fowey Esturary is also in close reach of the famous Camel Trail on the north coast, which makes for a great day out. When you’re ready to come back into the warmth, you can always head back to The Old Quay House and treat yourself to one of our ever-popular afternoon teas. Photo credits: English Heritage, Ross Burton and The National Trust (Andrew Butler).